There I was, speaking at a business event on the power of blogging and the way that it can help companies attract online attention, even money. Only one person in this 50 strong audience had even attempted blogging and from his answer he was expecting it to have an overnight success. Oh dear. Business Week magazine has proclaimed that “blogging is not a business elective, but a prerequisite”. In other words, if you want to be in business much longer you need to have a blog. Many companies still think of a blog as some kind of diary, where you post company events like product launches and new services, as they happen, once in a while. But people who “get” blogging realise that it can fundamentally shift a business once a blog becomes central to that firm. In other words, with just one blog article you can get massive coverage for your business throughout the web. Without blogging, you have to get all this coverage manually. So, if a blog is central to your business, you increase your visibility significantly – and gain more website traffic as a result. However, all this is old news. This is the kind of thing that the hapless businessman should have been doing when I asked that question about who was blogging; I asked that question two years ago. Clearly, much of business is so far behind what is happening online, they are getting left behind. A blog, as Business Week magazine said, should be central to your business. But they said that almost five years ago, in May 2005. Now, blogging is not enough. You need to do all the things with a blog listed above – you can do it easily with Ping – but you need to do more. 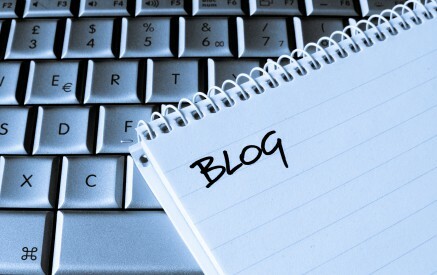 You need to think about blogs from a localisation perspective. With geotagging and mobile use now becoming increasingly popular, your blog needs to be locally relevant. It needs to be dynamically changed according to the location of the reader. And even if you are not doing that yet – I admit I’m not – we all need to plan how we are going to do that, because come this time next year it will be the norm. Video consumption online has hit record viewing figures, contributing to the billions of hours of video now being watched online. How much of your blog is video based? And that’s to say nothing of the exponential rise in podcast downloads via iTunes and other audio providers. Some businesses are still in the “thinking about” stage of adding a blog. They need to get real. Not only has blogging moved on, companies who made it central to their business have also changed the rules. Bblogging is central to many successful online businesses, it’s now also the focus for them of a multimedia content production system. Blogging without localisation, video, audio and a host of other enhancements is so “old hat”; yet, sadly, most businesses are still in the pre-blogging phase (i.e. still stuck in the last 1990s). If you are still thinking about a blog, it’s time to wake up and realise that the train left the station several hours ago.